^ Erlewine, Stephen Thomas. Artist Biography by Stephen Thomas Erlewine - オールミュージック. 2016年6月15日閲覧。. ^ Pronunciation from album (Pronounced 'Lĕh-'nérd 'Skin-'nérd). ^ Butler, J. Michael. 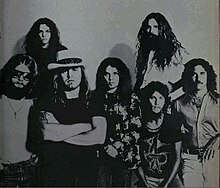 "Lynyrd Skynyrd." Grove Music Online. N.p., 3 Sept. 2014.